There are so many reasons why coming to work every day at a Humane Society can be intensely rewarding. In my role managing the Mobile Spay/Neuter Clinic I have an opportunity to not only see the impact the program is making as a whole in our community (with close to 4500 cats sterilized since 2016), but I often have a chance to speak with our clients who are so thankful that the service exists. The clients we serve are income-qualified and in most cases, don’t otherwise have the means to sterilize their cat. I can say that with certainty, because we survey our clients, and 96% indicate it’s one of the top three reasons they chose our clinic. A close second is that they want their pet to be healthier; something all pet owners can appreciate. Finally, the third top reason is that they want to help end animal homelessness, chosen more often than the clinic being at a convenient location or that they don’t have a regular vet. To me, this not only says something about how much the clinic is appreciated by our clients and how important their pets are to them, but also that the welfare of animals in our community is valued across all income brackets. This certainly is not a surprise to me. Of course pet owners that qualify for the program are no less committed to their pets and animals in general than those with more wealth. A love for animals is not bound by financial borders, nor do financial circumstances indicate a person’s capacity to love and care for a pet. I truly believe that having a companion animal contributes to a person’s overall wellbeing (we’ve seen the research countless times) and the benefits should not be limited to those who are more affluent in our community. 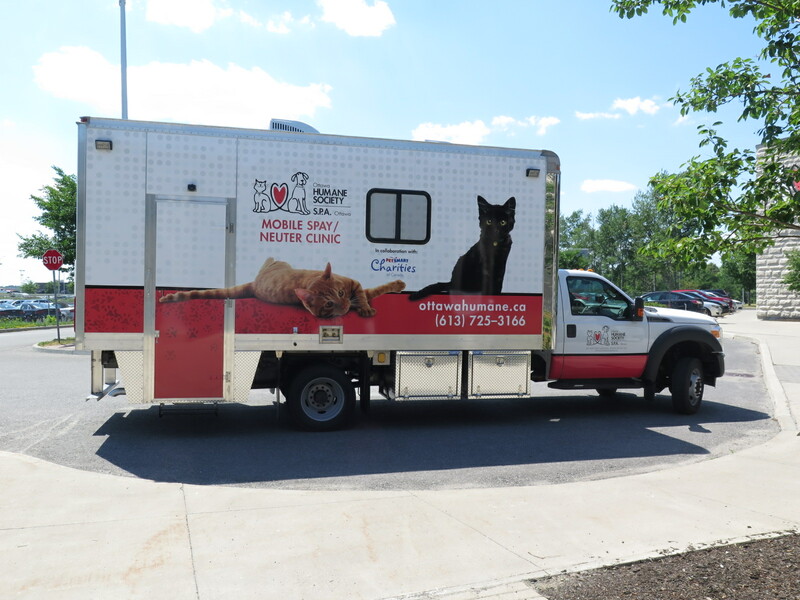 Don’t get me wrong, I’ll always advocate for responsible pet ownership (which includes spay/neuter) and our mobile team is part of this advocacy during every spay/neuter appointment. What I also believe is that having a pet to love unconditionally is something that should not be conditional on annual income. All people deserve respect and dignity, and I hope that those who have been clients at our mobile clinic have felt nothing but, and perhaps our ability to support them with a subsidized spay/neuter for their cat leaves a little extra at the end of the month for an annual check-up, or vaccine or even a microchip or city licence. Next PostWho are the Heroes that Save Lives?